First and foremost, if you’re a UX designer, don’t worry. 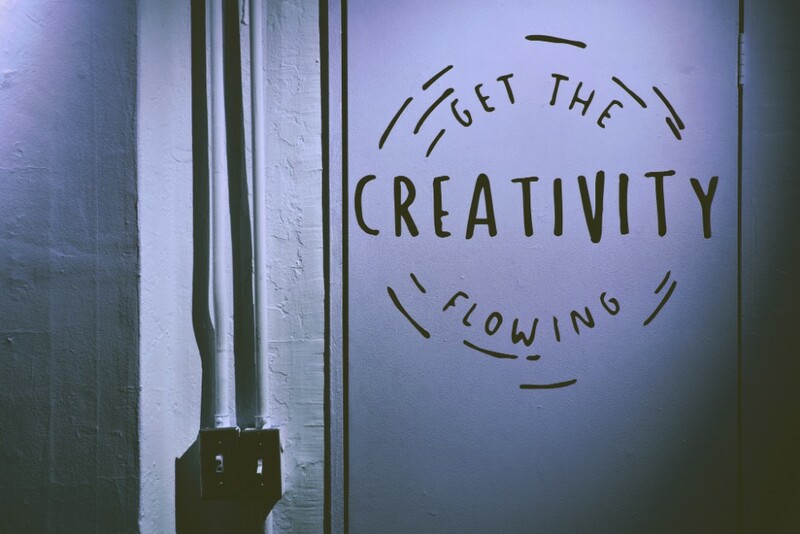 You won’t have to get copywriting skills because your job is to design. UX writing is a new and unique occupation that encompasses some of the copywriting responsibilities but approaches writing from a completely different perspective. The reason why we talk about it today is that writing is another powerful medium for reaching users and helping them to have a positive experience while using digital products such as apps and websites. If you want to get more on UX writing and why it’s important for your digital products, check out the text below. Many people confuse it with copywriting but the two are clearly different. For example, copywriters use compelling copy to attract the attention of customers and persuade them to do a certain action. On the other hand, UX writers use simple language to explain complex things and rarely employ marketing writing techniques because their main job is to make sure that experience with a digital product is a positive one. This brings us to the definition of UX writing: it’s the practice of writing copy to guide users within a digital product and assist them with using it comfortably. In other words, these professionals write all copy of a digital experience, thus making a product more usable (and enjoyable to use, too). 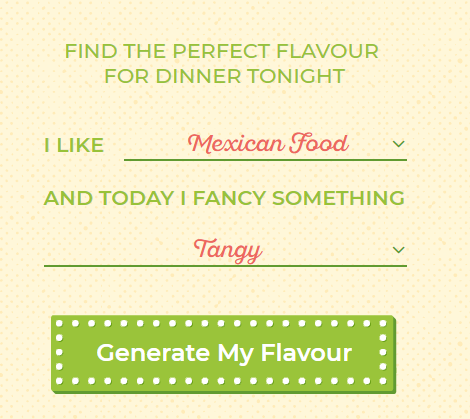 For example, take a look at this copy on Hello Fresh Blog’s Flavor Generator. It describes how to use a flavor generator based on two input points: cuisine and flavor preferences. This copy is an excellent example of UX writing because it uses natural, conversational language – the kind that the target audience of the blog uses – and is super easy to read and understand. The combination of these characteristics makes the copy an excellent tool for helping to use the Flavor Generator. To achieve their goal successfully, UX writers must work collaboratively with marketers, business analysts, web designers, developers, and other professionals to make sure that their copy aligns with the target audience’s style, tone and language preferences. But why exactly is writing important for ensuring a positive experience with a digital product? Here are the reasons. One of the main goals of UX writers is to help users to get familiar with a new digital product and learn how to use it quickly. Clearly, this means minimum “tech talk” and more simple words that everyone can understand. A copy that meets these requirements is clear and consistent. Remember: no user of your product should figure out what you mean in your instructions because it can be a major reason for abandonment. Easy instructions that lead to quick gains encourage people to stick around and use the product some more, which is exactly what’s needed. So the bottom line here is that copy should be simple to allow people to interact with the product intuitively and don’t even notice that they are being guided. If all of these messages are clear and easy to understand, the user will get the desired outcome fast and easy. On the other hand, if UX writers don’t create an environment where people can achieve their goals in an easy and intuitive way, the product will lose a lot of potential users. Here’s a simple example. 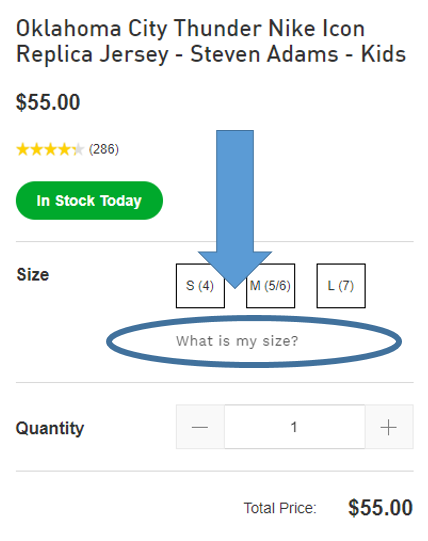 The official NBA Store makes it easy to make purchases for visitors by providing such useful buttons as “What is my size?” By clicking on this button, the user can input their weight, height, and other characteristics that help to define the appropriate product size for them. Traditional marketing is dead because it was essentially hard to sell what consumers just hate. Marketers had to find other ways to connect with target audiences, and this gave birth to content marketing and other techniques that put the interests of customers first. What marketers did was change the copy to reflect problems, interests and preferences of consumers to make it easier for them to understand and relate to. Now UX writers take this to a whole new level. They produce copies that encourage consumers to convert in a unique way. Let’s consider a simple example. Design is obviously critical in UX but writing also plays an equally important role because it’s key for creating effective content. By writing concise, positive, easy-to-read and understand messages at critical points during a customer journey, a business can develop a unique style of communication which allows becoming memorable and personable. For example, Timberland does a great job at that. Their style is unique, and it helps them be memorable and relatable. If you need help with finding a unique style for your brand, feel free to use style help tools such as Hemingway Editor or hire a writer using services like Boonle. An environment that facilitates suspicion and doubt is a sure-fire way to lose customers. For example, have you ever asked yourself why a website is asking for a certain piece of information during registration? Lots of people have, and many of them left because a business failed to explain why they require a certain piece of information and what they will do with it when they have it. To minimize the chance of hesitation, delay, and ultimately, abandonment, UX writing provides answers to the most common questions that people have right away. 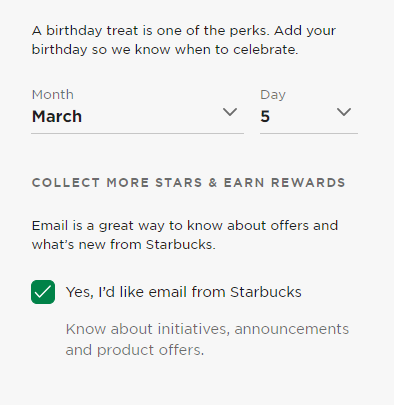 For example, take a look at how Starbucks explain why they need a user’s birthday and email on the registration page. They do so in a friendly and fun way, which is a great technique to respond to and alleviate justified fears about data privacy etc. Writing UX texts is hard work, but they are a critical part of your conversation with leads and customers. You now know that UX writing is quite a unique area that lets people learn about digital products and try them, and ensure a positive experience during this process. Hope this article was helpful to you to realize the importance of UX writing. Since it’s here to stay, everyone in web development should clearly realize that getting it right is a must to succeed and become memorable.